Activities of Daily Living (ADL's) will keep people alive. However, it is Meaningful Activities that create a life that's worth living. 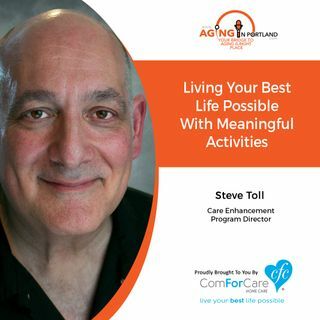 Steve Toll of ComForCare Home Care joins us on the show today to discuss that the real passion in our lives comes from Meaningful Activities. Research supports promoting activities in to the daily routine of those living with dementia.